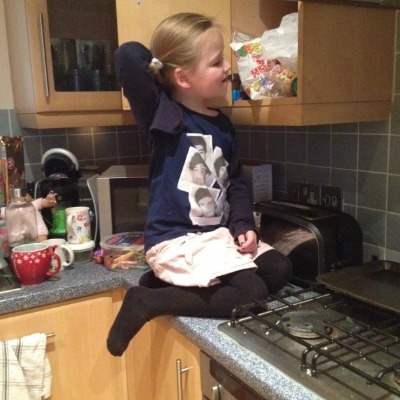 I was recently picked to join in the Britmums challenge #kitchentales with Fairy Platinum. I was sent a pack of fairy platinum to help with washing my dishes, which gave me the time to think of ideas of the stories to tell you lovely lot about what goes on in my kitchen. Now I have to admit the kitchen I have isn't my dream kitchen. and be social as I cook. Of course a fridge dedicated to wine would be nice and quite honestly some more storage space would be appreciated but I make do with what I have. 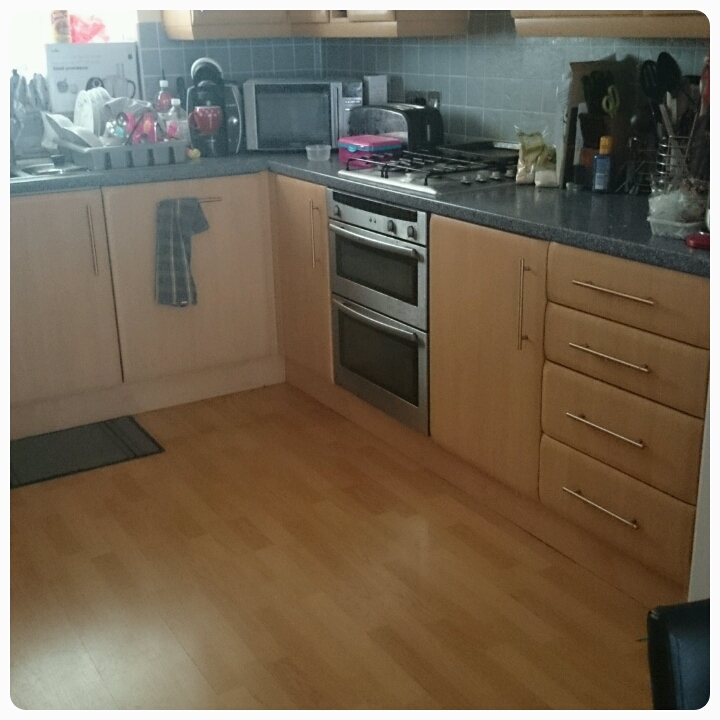 I would say my kitchen is slightly chaotic due to the lack of cupboard space but I like to see it as organised chaos, it is like the rest of our house, it looks lived in and surely this is part of what makes a house a home. 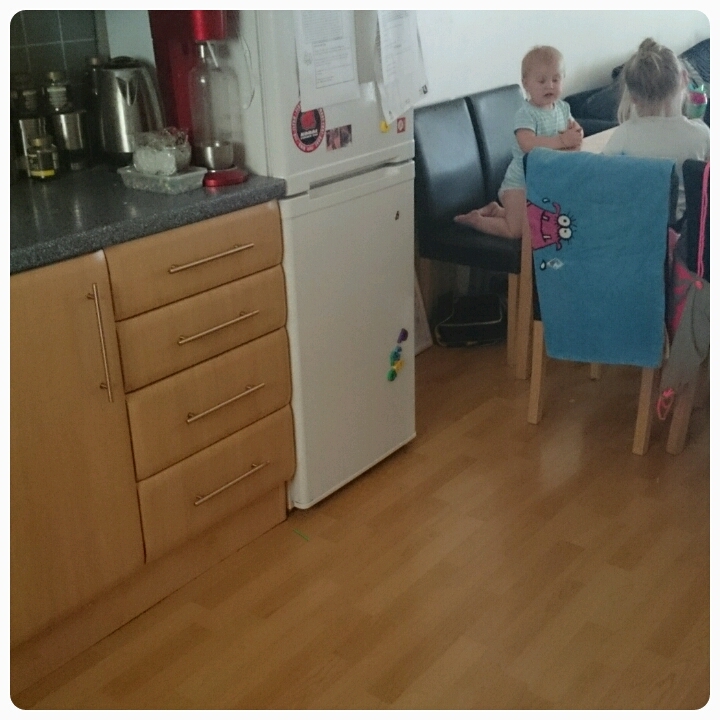 It is open plan, so the kitchen, dining room and living room are all in one. dining room table drawing or of recent times making loom bracelets whilst I make dinner. Or perhaps lounging on the sofa watching Frozen for the millionth time as I do the ironing. Wherever they are, I can still to chat to them, means I always have a bit of company!! 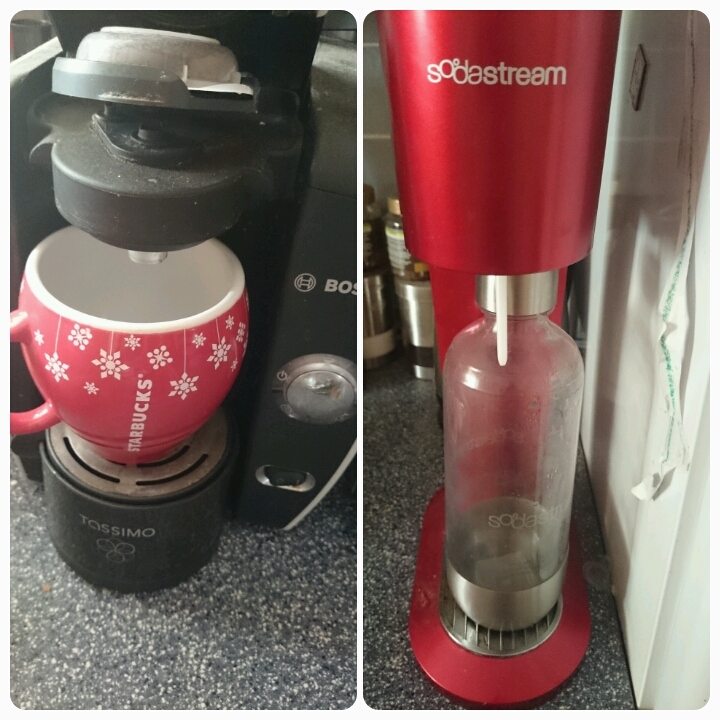 Favourite things in my kitchen have to be my Tassimo machine and my Soda Stream, got to love a bit of coffee in the mornings and a nice drop of cream soda goes dow a treat with dinner. I hate to disappoint but I don't have any hilariously funny or dramatic tales to share with you, I can only tell you why our kitchen is so special to us, quite simply because it holds so many memories. It is where the kids have learnt to open doors and sneakily take out the biscuits. 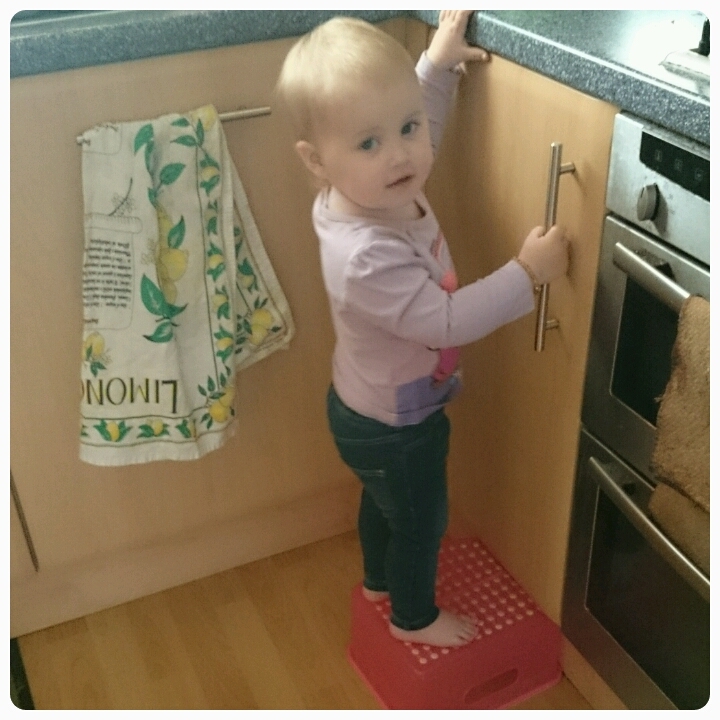 Where Freya has take it upon herself to climb on the kitchen side to get something out of the cupboard. 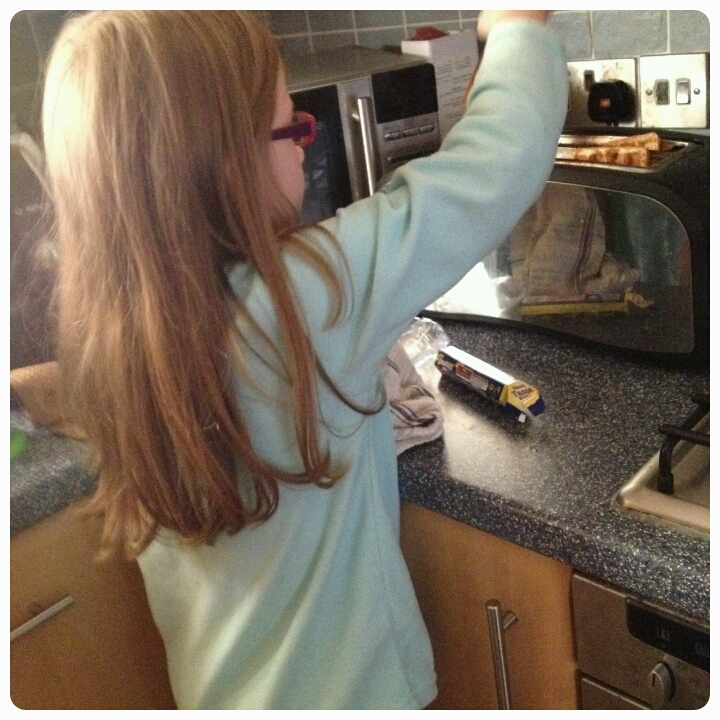 It's the place that Elise learnt to make her first slice of toast. One day I'm determined to get my dream kitchen but for now I'm content with making lots more memories in this one.